Our premium dental splints are custom-created quickly in our on-site laboratory, with a variety of different splints to fit your needs. Numerous people suffer from teeth grinding, or bruxism, and temporomandibular joint (TMJ) disorders. Pain and discomfort are usually the first signs of such problems, though left untreated grinding can lead to more serious issues such as severe headaches, the breakdown of teeth, sleep disturbances and difficulty with jaw movement. Don’t accept a lesser quality of life and oral health. 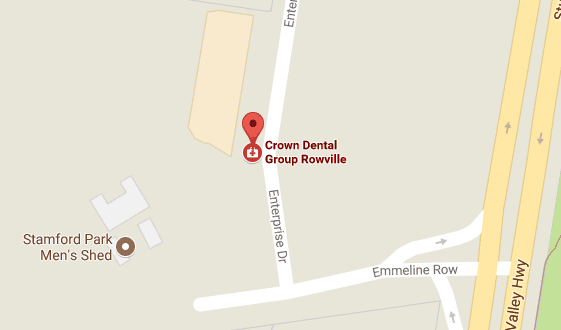 The Crown Dental Group team is here to help! A mouth splint fabricated from a durable dental acrylic can control the harmful effects of teeth grinding and TMJ disorders, safeguarding your teeth from damage at night. Splints are also helpful for people who snore or have sleep apnoea, as well as for people those who require treatment for loose teeth. You can be seen on the same day, and emergency appointments are available. Contact us today!